Let it Snow....BROWNIES! 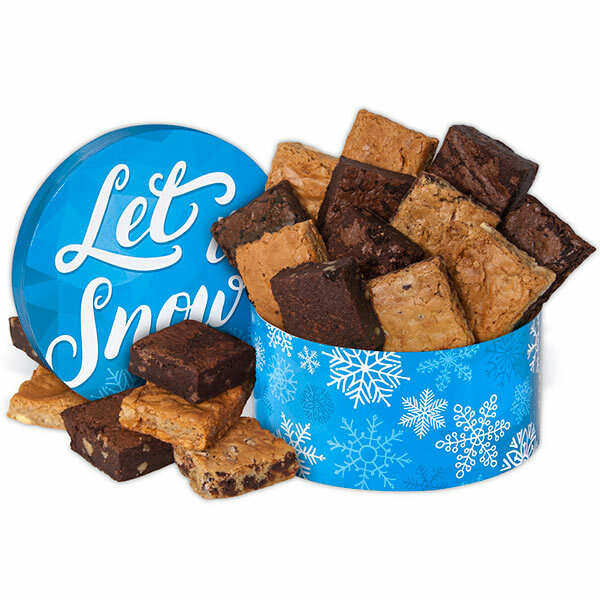 This Let It Snow Brownie Gift Box is perfectly adorned with a Let It Snow saying and full of delicious freshly-baked brownies and blondies. These baked goods are made fresh daily and come in flavors like chocolate chip blondies, fudge walnut brownies, peanut butter brownies, butterscotch blondies, and more! So flavorful, and melt in your mouth delicious.